Welcome to the Comfort Inn & Suites, Spokane Valley's finest hotel! 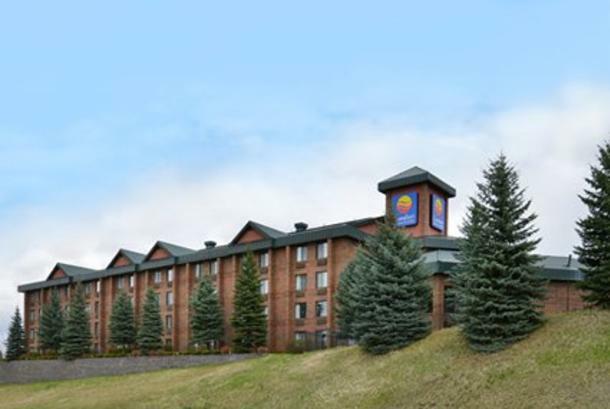 Conveniently located at I-90, Exit 289, across from Valley Medical Center and 5 minutes to the Spokane Valley Mall. 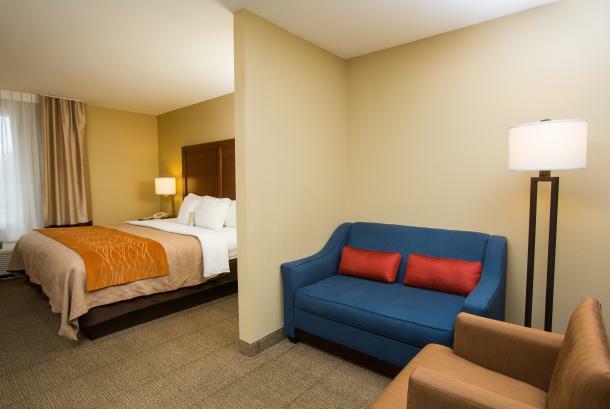 Featuring 103 spacious and warmly decorated guest rooms with all amenities. Complimentary hot breakfast buffet & evening snacks. Large 24-hour indoor pool, spa and exercise room. Business kiosk. Free HSIA/Wi-Fi. Conference room for up to 40 people. Hours: We are open 24 hours per day, 365 days. Cancellation Policy: We request 24 hours notice to avoid a cancellation charge. Notes/Comments: We can also cater group dinners, we provide a private room for the complimentary breakfast buffet for groups of 30 or more persons at no additional charge. Comments: This is a catered event just for your group. 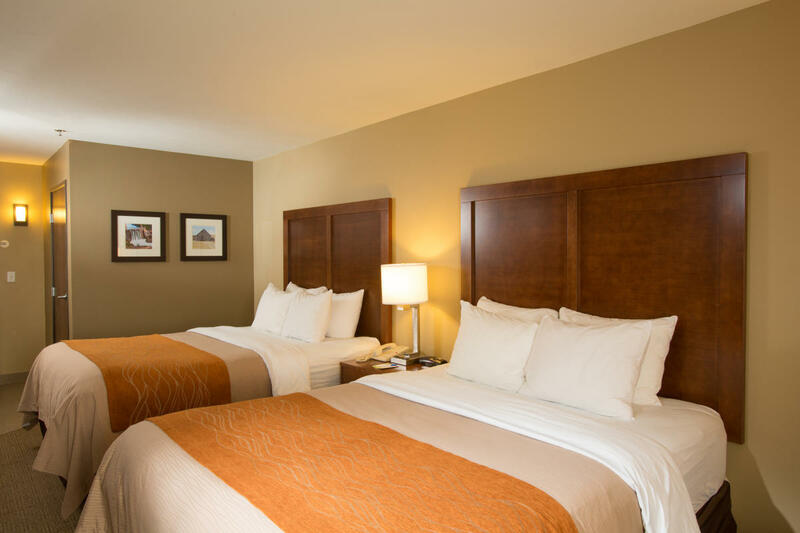 Description Comfort Inn & Suites Spokane Valley offers a beautiful meeting room, perfect for both corporate conferences and private events. The room offers seating for up to forty people, with a variety of table and chair placements available. Full-service audio/visual equipment is always available, along with access to WIFI/HSIA. 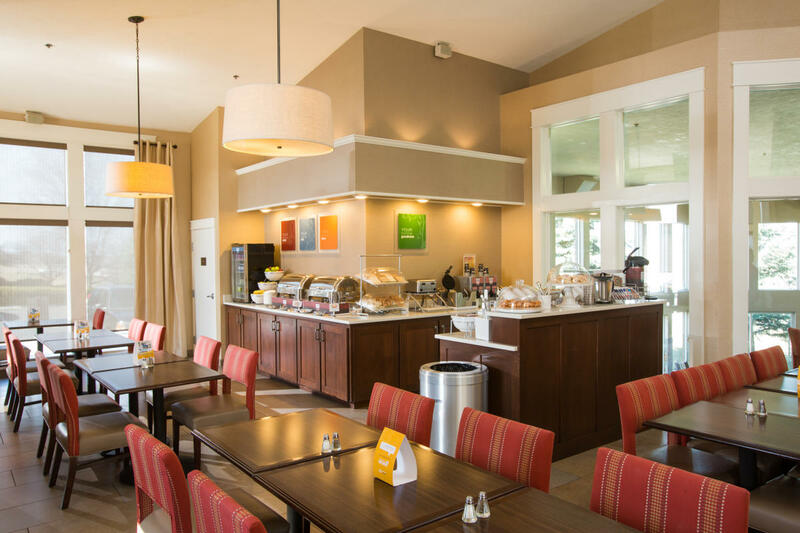 We offer a variety of catering options to fit your needs, from a simple coffee and water service to full-service catering. All conference and event guests are invited to stay over in one of our luxurious rooms or or suites at the corporate rate, with full access to our 24 hour pool, spa, and fitness center. Guests of the hotel will also enjoy a free, hot breakfast with something to fit everyone's appetite. We look forward to serving you!